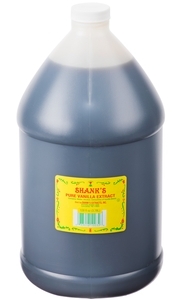 Add vanilla flavor to your cakes, cookies, and pastries using this Shank's 1 gallon pure vanilla extract. 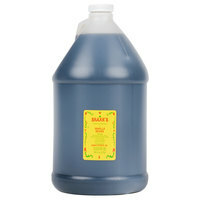 Treat your patrons to the sweet, natural taste of vanilla beans with this pure vanilla extract. Boasting a 1 gallon capacity, this vanilla can be used for a wide variety of cooking and baking recipes, from pastries and frostings to glazes and marinades! "A wonderful product at an amazing cost. 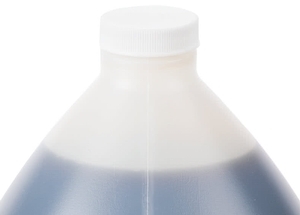 Pure vanilla is expensive and other brands charge a lot for a gallon jug like this. Will continue to buy." 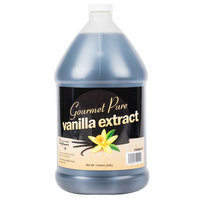 Pure vanilla extract is made by soaking and filtering vanilla beans through a combination of alcohol and water. In compliance with the U.S. Food and Drug Administration, pure vanilla extract is composed of at least 35% alcohol and 13.35 oz. vanilla beans. This extract allows you to make delectable, tantalizing treats that your customers won't be able to resist. With a reclosable lid, you can preserve the rich, fragrant flavor while also preventing the vanilla from spoiling. 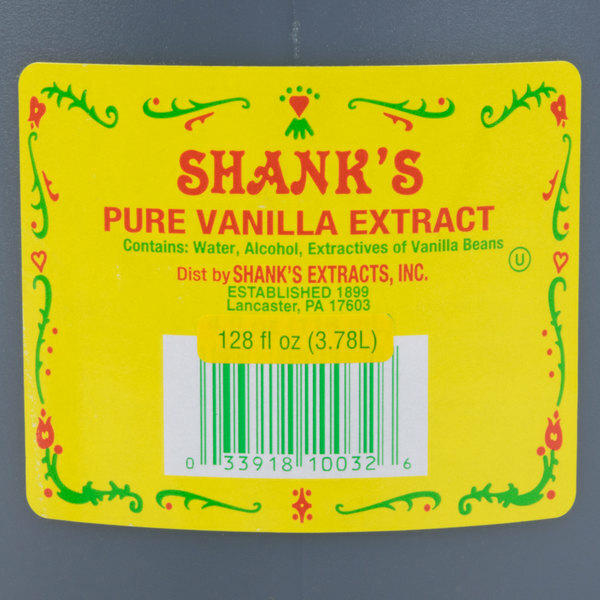 Shank's Extracts, Inc. was founded in 1899, initially creating flavorings to help make medicines taste better. Expanding their company and label through the years, their flavors, extracts, and food colorings are sold in major grocery chains across the Northeastern and Midwestern U.S. Today, their primary product remains Shank's Compound Flavoring of Vanilla Bean, and they continue to make quality products for both retail and industrial applications. Why is my pure vanilla extract a different color than I'm used to? Due to variation in color of vanilla beans, the color of vanilla extract may vary. Please be aware that the color does not correspond to quality. This item is still the same quality as what you might have received before. Our favorite brand of premium vanilla extract that is pure and delicious. Very pure and very flavorful in our candies and fudge. The Shank's brand is awesome. Great tasting vanilla. Used it to make homemade vanilla bean ice cream. Customers loved the homemade flavor vanilla flavor. Has a very rich vanilla flavor. Awesome style pure vanilla extract in bulk that is bold and very flavorful. The perfect extract for adding a great taste to our fillings and spreads. A highly decadent and quality style pure vanilla extract that is great for our bakery. The flavor is rich and bold and really makes a great flavoring to all our items. 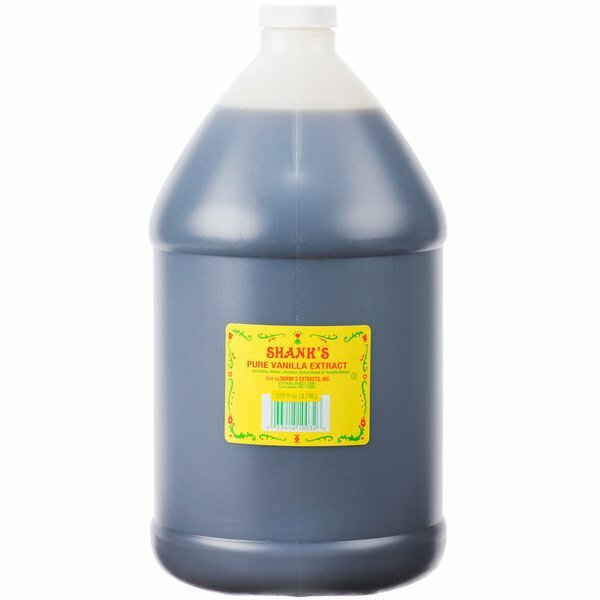 Vanilla extract has gotten pricey but you can not beat the great flavor and quality of Shank's extract. I have been using it for years and my baked goods have always been exceptional. Very cost effective solution for vanilla. Great strong flavor goes a long way in my baked goods. I literally put this vanilla in everything! I like to fill a small squeeze bottle to help minimize spillage when measuring. We love this vanilla. It tastes as good as the expensive stuff we were getting from our previous supplier. Since we use a lot of vanilla it is nice to have the gallon jugs too. Strong flavor at a great price! A little bit of this goes a long way. We add it to our vanilla soft serve mix to boost the vanilla flavor. A wonderful product at an amazing cost. Pure vanilla is expensive and other brands charge a lot for a gallon jug like this. Will continue to buy. Great product but too pricey for me! I use this product frequent but I think I'll just make my own vanilla extract from here on. This vanilla is of very high quality. I especially like that there is no added sugar in it, making the pure vanilla flavor shine through. It is a great value for such a superior product. 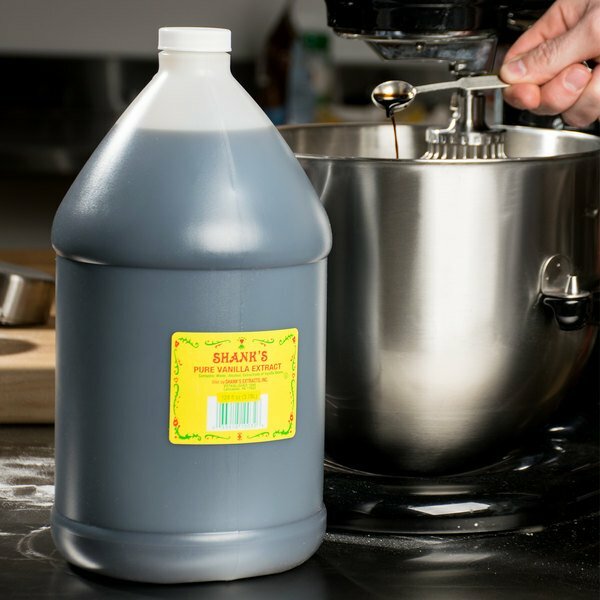 Shank's Premium Vanilla Extract is a great value and has saved our bakery over $200 per gallon of vanilla we use when compared to even store brand pure vanilla. This stuff is expensive but has pretty good flavor and breaks down to be cheaper than smaller bottles. Most important to our company is that there's no added sugar/sweeteners. It actually is pure vanilla with alcohol vs. some other bulk bottles that use additional sugar**cough-co**. Annoying when you're trying to produce a vegan product. Save Up To $38.81 with our Recommended Product! Save costs and try this Regal Foods gourmet pure vanilla extract instead! This product is naturally delicious, as it contains no artificial flavors or additives. Plus, the convenient jug with a handle and resealable cap is perfect for your busy bakery or restaurant. Regal gourmet pure vanilla extract features the same large gallon size for all of your baking and sweetening needs at a much cheaper price!